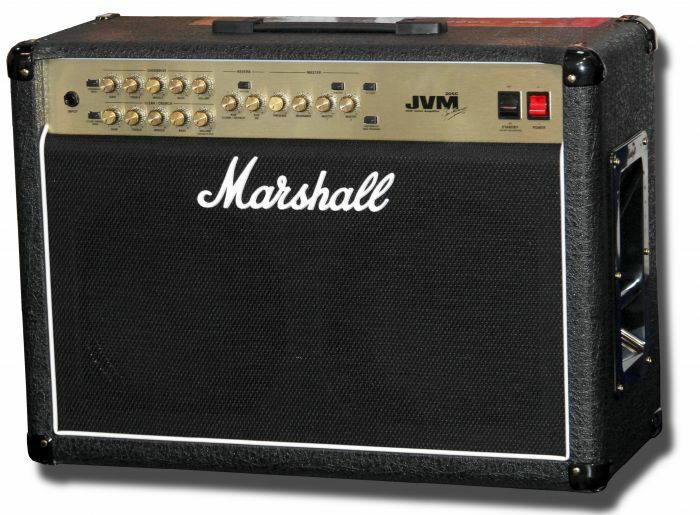 The British-built, 50 Watt all-valve 2 x 12” JVM205C offers a more straightforward two channel preamp, clean/crunch and overdrive, than the JVM410C’s four channels, for guitarists who prefer a more stripped down, ‘fewer frills’ approach. The two independent channels both have three modes. Each mode reconfigures the gain structure of each channel, making six modes in total, which can take you from ‘Plexi’/JTM45 cleans through JCM800 roar to modern high gain tones. The JVM205C is equipped with the same groundbreaking technology as its big brother, the JVM410C, featuring two studio quality reverbs (one per channel), with individual channel EQ, two master volumes, and a memory that will recall recent reverb, FX loop and master settings. The JVM205C uses our much praised Stompware® switching technology and comes supplied with a fully programmable, four-button footswitch which connects to the amp using a standard guitar lead, so you’re not restricted by stage size – and if your cable fails, it’s very easy to replace: ‘Clever…very clever.’ Guitar Player Magazine. The JVM205C is loaded with a 12” Vintage 30 speaker and a 12” Heritage speaker, both of which have unique aural characteristics, and combined give you the best of both sonic worlds.